Either we turn away in disgust or we can’t stop looking. The severed limbs, decapitated torsos, misshapen bodies, dead or alive monkeys, dogs, snakes and birds, not to mention the women. The cacophony of creatures and stuff, the scratches and marks that invade the photographic surface all belie to the casual viewer the depth each image, each story holds. Mere description of these images or even elaborate ekphrasis, cannot convey their meaning or intention. We must look long and hard into these pictures, past our first impressions and into a darker world that we may not understand. For these images are heavy with ideas, “the nature of man and its relationship to the divine,” as the artist once declared. No small feat. Anyone can make photographs and too many do. But images which call us back, muddle and confuse us yet remain in our mind’s eye, are pictures worth making, knowing and remembering. Since greater minds have provided astute and lucid insights into Joel-Peter Witkin’s oeuvre elsewhere, my charge here is to remind you to always look with an impassioned eye and curious mind. Once upon a time there was young man from Brooklyn who was born a photographer. He made exceptional pictures that told extraordinary tales. The wise viewer of these often fantastical and usually unsettling pictures will find their own reward if only they are patient. 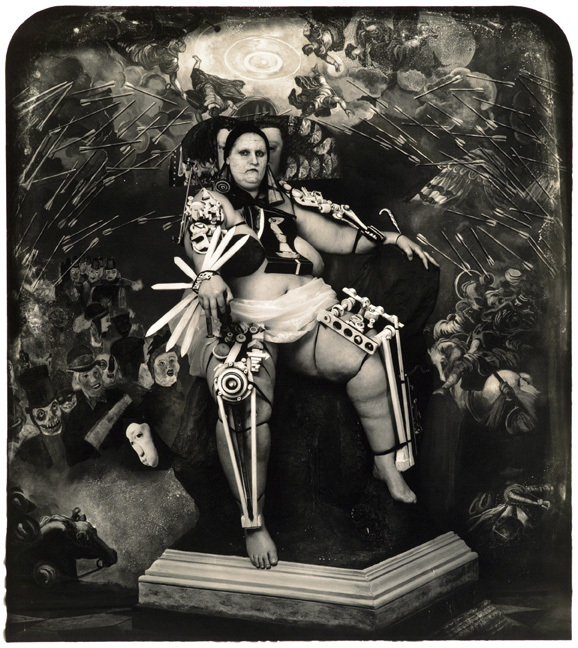 Joel-Peter Witkin lives and works in Albuquerque, NM. To contact Mr. Witkin, please contact the editor.